We are currently seeking candidates for the position of Intermediate Architect in our Seattle office. We are interested in exceptional candidates with strong analytical and communication skills who are passionate and involved in community building at all scales. This person will work within our multidisciplinary team to coordinate and document multifamily residential and commercial projects. Dedicated team player, excellent communicator, possessing demonstrated skill at the execution of technically complex projects. Thorough familiarity with the technical considerations involved in coordinating and executing Type 5 wood frame multifamily residential and Type 1 concrete high-rise residential and commercial building types. Strong experience in the management of documentation created in Autodesk Revit and AutoCAD. Fluency with production in these programs and other drawing programs such as SketchUp an asset. Skill in the management and coordination of project documentation and preparation of graphic presentation material. Strong experience in the management of collaborative design disciplines, including integrated project delivery experience. Passion for high quality design and sustainable design. Experience with sustainable building rating systems an asset. Salary is commensurate with qualifications and experience. Generous benefits, including medical/dental insurance, retirement funds contribution matching, and transit subsidy. Please send resume and cover letter, and “Intermediate Architect” in subject-line, to Catherine Calvert, Managing Director, at ccalvert@via-architecture.com. Applicants must meet minimum experience qualifications to be considered for this position. We are seeking a mid-to-senior-level Urban Infrastructure Architect for our growing Oakland office. This is your opportunity to make an impact in our start up Oakland office while benefitting from the intellectual capital, technical resources, and hands-on work-style of an established mid-size firm. We see this position as an opportunity to learn the “VIA way” to manage and design urban infrastructure while advancing your project management and practice leadership skills and responsibilities. Implementation of CAD and BIM standards and construction document production using Revit. Licensed Architect (California License strongly preferred). Included in this post are the currently open positions in VIA’s Vancouver office. Job descriptions and experience requirements follow. Please refer to the How to Apply section at the bottom of this page for contact information. We are currently seeking candidates for Senior Technical Architects for our Vancouver office. These people will supplement and work within our multidisciplinary team to provide comprehensive technical architectural services for high-rise, wood frame, public transit and other commercial projects. We are interested in exceptional candidates with strong analytical, communication and technical skills who are passionate and involved in community building at all scales. Proficiency in REVIT, AutoCAD & Sketchup. Deep skills in architectural technical detailing, envelope design, and specifications writing. Passion for green building; experience with sustainable building rating systems an asset. Skill in the coordination and production of project documentation packages and preparation of graphic presentation material. Strong experience in the technical coordination of collaborative design disciplines, including integrated project delivery experience and 3-dimensional resolution of technical issues. VIA Architecture Inc. is currently seeking a qualified candidate to join our team in the position of Controller in our Seattle office. The Controller is accountable for the financial and risk-management operations of the company, with specific fiduciary duties and reporting to the company ownership. This includes development of a financial and operational strategy, the metrics tied to that strategy, and the ongoing development and monitoring of control systems designed to preserve company assets and report accurate financial results. These are all developed within the overall vision and business approach of the company ownership, with the responsibility of the Controller to ensure ethical regulatory compliance. The ideal candidate will have at least ten year’s senior financial management experience with a professional services firm, an accounting degree (preferably a CPA license), as well as, excellent communication, judgment, and interpersonal skills. Current knowledge of GAAP, FAR and WSDOT Audit Guidelines is highly desirable. Strong excel skills and financial software experience is desired, preferably utilizing Deltek Vision Software. Since 2013 VIA has been hard at work on the Tacoma Amtrak Cascades Station at Freighthouse Square, the relocation of the Tacoma Amtrak station into the historic Freighthouse Square building in the emerging Tacoma Dome District. Freighthouse Square was built in 1909 as a railroad terminus, later transformed, as it stands today, into an urban shopping center and the core of Tacoma’s active transportation hub. The cultural significance to the Tacoma community made this project a sensitive one, inspiring our team to design the new station to reference the historic and traditional shape of the current historic building while meeting current standards for seismic, thermal, and life safety performance. The new station will be the centerpiece of a multimodal hub that includes Sounder, Tacoma Link, ST Express bus, and Amtrak facilities. 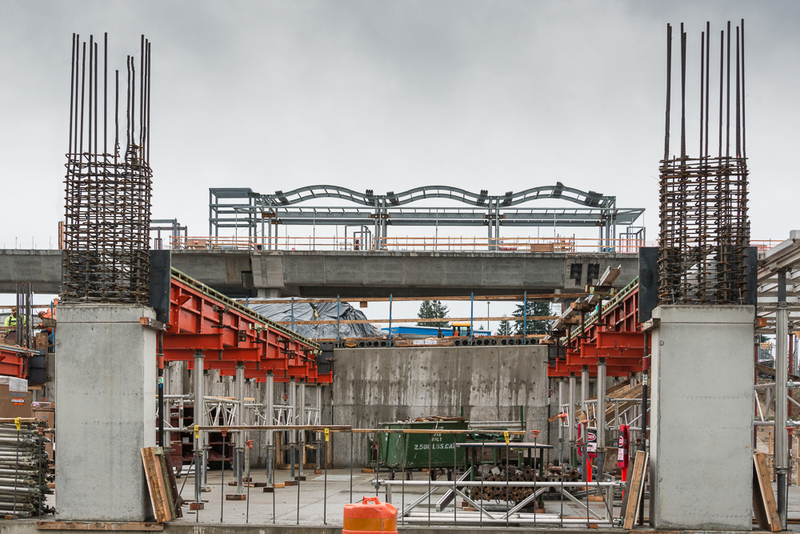 On May 11, WSDOT announced that, after an intense and community-focused road to completion, construction on the station will begin this month with planned completion in 2017. Sound Transit’s Angle Lake Link Light Rail Station is the interim terminus of the Seatac Airport to South 200th Link Light Rail line that will, upon station completion, run from Angle Lake through Seatac airport to downtown Seattle, ending at the recently-opened University of Washington station. Congratulations to VIA’s Sean Ruthen on being named one of the 2016 Fellows by the Royal Architectural Institute of Canada (RAIC). Each year, the College of Fellows of the RAIC bestows Fellowship to architects from across Canada in recognition of outstanding achievement. You may congratulate Sean as he is inducted at the College of the Fellows Convocation this June during the Festival of Architecture in Nanaimo, BC. A full list of this year’s fellows and more information can be found at RAIC.org. VIA’s Sean Ruthen has continued to be an architecture advocate since graduating from the School of Architecture and Landscape Architecture at the University of British Columbia in 2001. Consistent with this passion, Sean has the good fortune of having his writing on the subject regularly published in several urban design and architecture publications, including Canadian Architect, Nuvo Magazine, and Spacing, with over 50 book reviews and feature articles contributed to the latter. The excerpt below is part of a featured book review from Spacing Magazine, which can be read in full at this link. In Italo Calvino’s Invisible Cities, a fictitious narrative told by Marco Polo, the explorer recounts his visits to fantastical cities that defy description, despite his best efforts to try and summon them in our mind’s eye. 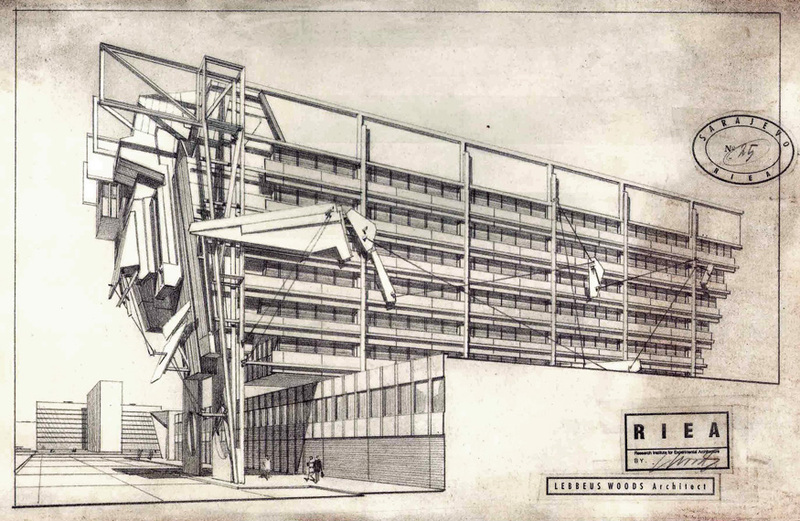 The architecture of these cities could be one way to describe the work of the late Lebbeus Woods, especially so for his writing on architecture. What most may not realize, is that, for the last five years of his life, he posted regularly to his own WordPress blog space at www.lebbeuswoods.net. The site remains active to this day, with all the original posts. VIA’s Vacouver office is currently seeking candidates for architectural positions with transit/urban infrastructure experience. Those hired will supplement and work within our multidisciplinary team to provide comprehensive architectural services for public transit, urban infrastructure, and other commercial projects. We are interested in exceptional candidates with strong analytical, communication and technical skills who are passionate and involved in community-building at all scales. Intern to Registered architect with 10 plus years of Canadian or US architectural experience. LEED AP preferred but not mandatory. Dedicated team player, excellent communicator, possessing demonstrated skill in design and execution of technically complex projects. Interest in professional advancement to more senior levels and responsibilities through familiarity with the technical considerations involved in designing, documenting, coordinating and executing public transit, urban infrastructure and other commercial building types, including a passion for integrated sustainable design solutions. Proficiency in REVIT, AutoCAD & Sketchup highly desired. Fluency with digital model rendering, Adobe, and other graphic programs a plus. Be skilled in the preparation of graphic presentation materials, technical architectural detailing, and coordination of overall project documentation packages. Experience with all project phases of design, construction documents and field services a plus. Experience with the technical coordination of collaborative design disciplines and 3‐dimensional resolution of technical issues. Integrated project delivery experience a plus. Ability and experience with organizing, tracking, and implementing project data, directives and design, tender and construction document production, consultant coordination, and other support roles to the Senior Project Architect. Experience with various construction and building types. In-depth knowledge of the BC Building Code. There is no question that Vancouver is a densifying city. Despite all the excitement and acrimony that comes with that prospective change, the majority of its land is still locked into single-family housing zoning districts. On Wednesday, January 20th, the Urbanarium presented a panel of players of the region’s development past and future to debate one of the most powerful and unasked questions surrounding Vancouver’s future density: should we open all neighbourhoods to densification? In the midst of that debate, we wanted to visualize and analyze some of the impacts that single-family housing districts have on Vancouver’s form and structure. The question of whether we can do better by this land, its owners, and the people who want to have the opportunity to live in these neighbourhoods is a serious one. The visual impact of the single-family zoning parcels shown in the map above, created by the VIA team, displays, rather quickly, how much of the City is still officially zoned as single-family. The map of the City of Vancouver (shown above and repeated below) breaks down the most common RS1 One Family Dwelling District in orange and all other RS Single-Family Zones in green. This analysis also takes into account that many of these neighbourhoods are transit-oriented, despite their official low-density designation. The following is a poem from VIA Founding Principal Graham McGarva, which is a portion of an abstract for his Pecha Kucha presentation at the Congress for the New Urbanism (CNU) Vancouver Summit 2015 – Cascadia Chapter. You can find the full post containing all poems that comprise the abstract at Graham’s City Slices blog by following this link.